Nihad Taha, with a BSc in computer engineering from the Islamic University - Gaza, has been appointed as our representative in Gaza for six months in the first instance. We welcome him to our little family. Nihad has a contract to work 20 hours per week, starting on the 1 January. He has already done a good deal of work and shown much imagination. He will be based in the modern office that we are renting from the Students' Charity, of which Abu-Ali is secretary. He will be spending a good deal of time out and about. His job is to identify youngsters in the greatest need and to analyse how our small but growing charity can help. The facts will be brought to the trustees and a possible solution agreed. He will arrange for that aid to get to the youngster and his/her family. He will send progress reports back to us, accompanied by digital photos taken with the camera donated by Devon Camera Centre. He will also be responsible for keeping accounts using the Excel system and these too will be e-mailed back to us 3 monthly. He will be encouraged to use his knowledge of charitable work in Gaza and his keen intelligence to develop our work there and in the West Bank. In this, he will have the invaluable support and guidance of Abu-Ali, and of Adli Hammad when he is in Gaza. 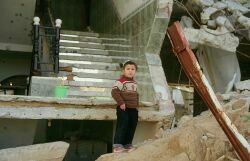 We look in one direction only and that is to do our best for the poorest folk in Palestine, especially the children.